We are your local water extraction service. Open 24/7 for emergency water extraction and flood cleanup. Our services range from cleaning carpets to cleaning up after emergency disasters.Services include, pet odor removal, carpet and rug experts, wood floor cleaning,tile & grout cleaning. 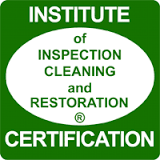 We are not just carpet cleaners we are experts in many areas such as stone and tile cleaning and stone refinishing. We can wax and seal floors,strip floors and dry out wet wood floors. Our hardwood floor cleaning systems are state of art. We use the best tools and We keep our equipment up to date, clean and functioning correctly. We use state-of- the-art cleaning equipment and processes, which exceeds those of other local cleaners, we are sure to surpass your expectations in deep dirt, grime clean, fine surface and dry cleaning including delicate process used to restore and protect your expensive rugs, carpets, and drapes. Clean Steam USA is your best resource in the South Walton area. When you need cleaning or a water damage or a flood occurs. We offer 24-hour dependable emergency service including water extraction. Disaster Response 24 hours a day, 7 days a week and can restore your carpets after flood damage has occurred. We have the advanced expertise and equipment to remove a wide range of odors, germs, and stains including those of your beloved pets. We don't just clean the dirt that you see we clean deep down the dirt that others miss. Clean Steam USA carpet cleaners serving Destin, 30A and surrounding areas can prolong the life of your carpets and upholstery with routine cleaning. Regular cleaning can make your home a clean, healthy environment for your home. We use safe solutions and the power of hot water extraction to get your carpets deeply cleaned. Our cleaning ensures a healthier carpet cleaning. Our cleaning uses safe and non-toxic solutions and no detergents or harsh chemicals. So it’s safe for your children & pets. Our Dry cleaning uses 80% less water than our steam cleaning, but we recommend Steam cleaning over dry cleaning. Your carpets will dry in 1-2 hours, not 1-2 days. Call us now at 850- 654-1010 to make your home or business cleaner and a healthier environment!